Five Years After A Quake, Chinese Cite Shoddy Reconstruction : Parallels A massive 2008 temblor in Sichuan province killed some 90,000 Chinese and pointed to the poor construction practices in China. The rebuilding effort was supposed to showcase modern China. But today, many survivors are angry over what they say is official corruption, ranging from poor construction and unpaid workers to bribes and improper compensation for seized land. The new town of Beichuan town in China's Sichuan province is located about 15 miles from the old town destroyed by the 2008 earthquake. About 21,000 people died there, many of them crushed beneath shoddily constructed buildings. 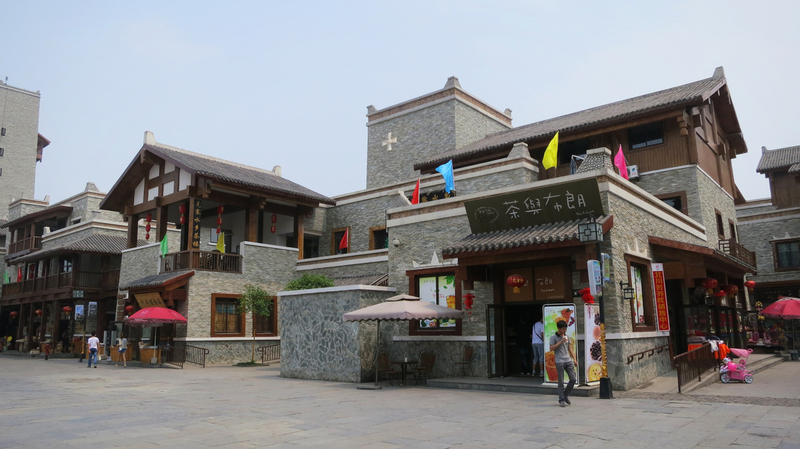 The new Beichuan is full of sturdy brick tourist shops. But locals say 70 percent of businesses are losing money, owing to a lack of visitors. Five years after the massive Wenchuan quake in China's Sichuan province left about 90,000 dead and missing, allegations are surfacing that corruption and official wrongdoing have plagued the five-year-long quake reconstruction effort. The official press is full of praise for how "all Chinese have a reason to be proud of what the concerted efforts of the entire nation achieved in creating a new life for the survivors." But an NPR investigation shows that behind the impressive facade the old problems still exist. At first glance, the new town of Beichuan is an impressive achievement: neat rows of modern six-story houses, a town center with bicycle paths and leisure facilities including a huge sports center with an outdoor swimming pool. This purpose-built town is on flat ground, 15 miles from the devastated old town, where a full two-thirds of the population — about 21,000 people — died, many of them crushed beneath shoddily constructed buildings nicknamed "tofu-dregs construction" that crumbled and collapsed in the quake. Built less than three years ago, the walls of Mrs. Zhou's apartment — in the new settlement of Beichuan — are already riven by cracks. The new town, officially called Yongchang, is the highest-profile post-quake project, costing $1.4 billion and currently housing approximately 40,000 residents. 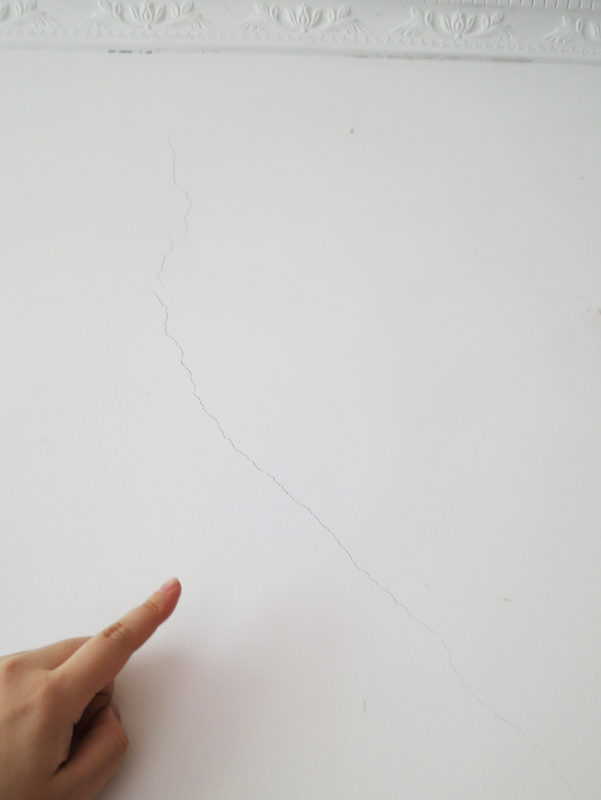 But inside the apartment of one resident, who gives her name as Mrs. Zhou, cracks fissure the walls, running both vertically and horizontally in almost every room. She has lived here more than two years. "[The cracks] were here when we moved in," she says. Outside, the building is shearing away from the pavement, with a crack running horizontally, at some points as wide as the length of one finger. These residents fear many of the newly built compounds have become new "tofu dregs" buildings. By law, they are required to be able to withstand a magnitude 8 quake, but these cracks had appeared before any major tremors. The fear is that these post-quake buildings may also have been built with substandard materials and too hastily, since they were completed in just two years, one year ahead of the target date, as local officials vied to impress their superiors with their efficiency. "Some local officials took the chance to feather their own nests," another resident comments angrily. "Not all officials are bad. Just some of them are corrupt." These are not isolated complaints. At least two schools built after the 2008 earthquake — in Lushan and Tianquan townships — were badly damaged in a temblor measuring only 6.6 that rocked Sichuan province last month. Even the state-run media admit that building codes are regularly ignored. One researcher at the Institute of Geology of China Earthquake Administration, Gao Jianguo, told the Global Times, "Even though the codes have been set up, chances are that during construction they are not well-followed." The scope of rebuilding has been extraordinary: 3,800 new schools were constructed, and accommodation in villages for 1.9 million households. You want to take over my land, you should negotiate with me. But without any negotiation they stopped our water supply and electricity. This is the way bandits behave." But post-quake corruption has become a serious problem. The National Audit Office last year admitted that $228 million of reconstruction funds had been embezzled or illegally transferred. At least 11 people have been sentenced for corruption in post-quake building work. One relatively low-level official, Su Zhixian, the Mianyang Normal University Communist Party secretary, is due to stand trial for pocketing bribes of $1.7 million, according to a report in the South China Morning Post. Its sources said he had taken kickbacks on tenders and bribes of more than $1,600 for each invoice he signed. Even the deputy party secretary of Sichuan, Li Chuncheng, is under investigation for violations of party discipline, the biggest target so far of the anti-corruption campaign — though it's unclear whether he is being investigated for any instances of quake-related corruption. The perception of corruption is such that the latest quake, on April 20, sparked a nationwide discussion about the ethics of donating through government-run institutions. It's also notable that Mrs. Zhou — who has cracks in her walls — wasn't even a quake survivor. She and her friends are part of a group of 11,000 farmers who were rehoused after the government demolished their houses and took their land for the new town. And they are angry now: Most of the land lies untouched. They say it's been put up for sale at 100 times the price they were compensated for it, though this is not confirmed. 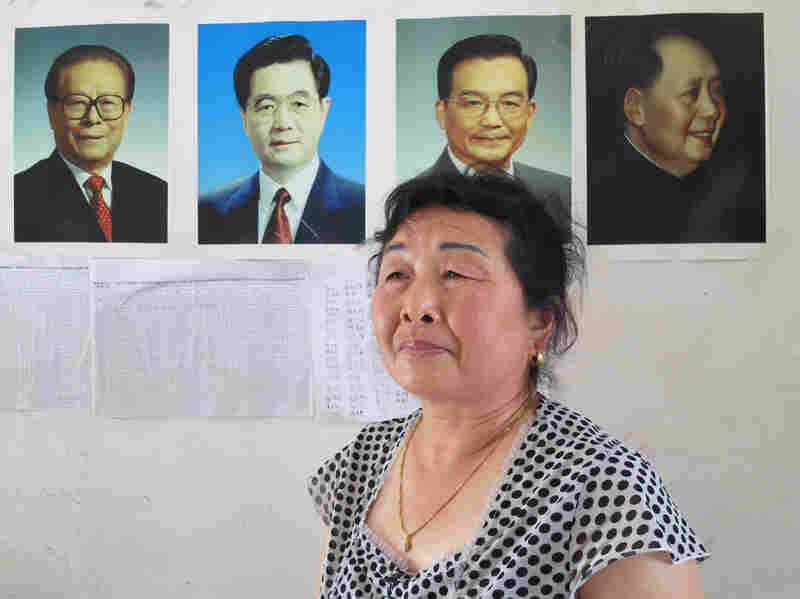 The wife of Li Yiqian, Yang Liming, sits in their house, which is plastered with pictures of China's leaders, an attempt to help prevent local authorities from demolishing it. Her husband has been sentenced to three years in prison for organizing a crowd to create a disturbance; she believes it's for his work in helping dispossessed villagers petition. A farmer who represents these villagers, Li Yiqian, has been sentenced to three years in prison after he was found guilty of organizing residents to create a disturbance. His son, Li Yang, believes the charges are ridiculous. "They wanted to get the land so they could sell it when the price appreciated," says Li Yang. "This is robbery." His mother, Yang Liming, still lives in their house, which is plastered with pictures of four generations of the country's leadership, a psychological tool the family hopes will prevent local authorities from demolishing the building. To force her to move out, the local government turned off their water and electricity, but the family still refuses to leave. "It's completely naked exploitation," says Li Yang, the son. "You want to take over my land, you should negotiate with me. But without any negotiation they stopped our water supply and electricity. This is the way bandits behave." The town center of new Beichuan consists of handsome, sturdy brick and wood buildings, mostly housing tourist shops selling cheap souvenirs. There's one big problem, though: There are few tourists. Having lost their land, residents struggle to get by. Activist Huang Qi spent three years in prison after the Wenchuan earthquake for illegally possessing state secrets. 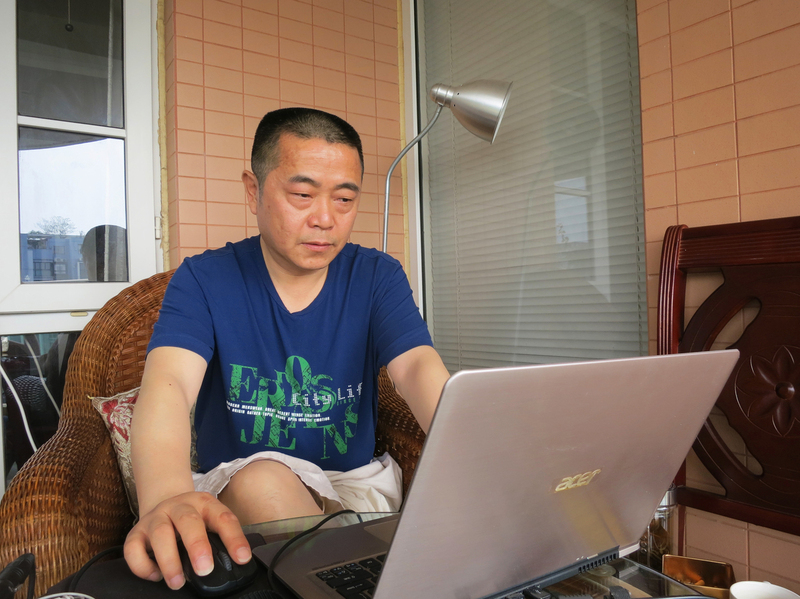 He's now in poor health, in part because of his treatment in jail, but he still runs an independent human rights website in Chengdu, the provincial capital, highlighting these problems. "Business is no good here, especially this year," says vendor Zhang Ming, who runs a stall selling cold drinks and homemade tofu. "In this street, almost 70 percent of people are losing money. This year is worse than last year. No one comes here anymore." Zhang lost five family members, including her daughter, in the 2008 quake. But she says she's so busy just trying to survive, she hardly has time to think of the past. In a new Beichuan parking lot, a propaganda film boasts about the reconstruction effort. There's another untold story here, too: a story of unpaid salaries and exploited workers. Chen Wenfeng is in charge of a team of builders; twice they took part in post-quake reconstruction projects: in 2010 in Mianyang after the Sichuan quake, and then a year later building an orphanage in Yushu, a Tibetan part of China that had suffered another quake. Both times, he and his team weren't properly paid for their work. And the money he spent upfront on equipment was never repaid. In total, he is owed more than $170,000. "We won't go if we're asked to take part in reconstruction work again," says Chen, who is based in Chengdu, the capital of Sichuan province. "Because every time we've gone, we haven't been paid the wages we're owed, and the money we spent on gear." "We believed in the government," says his wife, Li Hong. "So we willingly paid in advance [for equipment] with our own savings and money borrowed from relatives. We did our best, with our loving hearts. But we couldn't imagine that afterwards, money owed to the workers wouldn't be paid." When Chen pursued his claim for building the orphanage, he was told the work had been subcontracted three times — which is against the law. He could never figure out whether any of the bigger contractors had been paid. And because he had no written contract — again, in violation of the law — it's hard for him to make his case. These multiple accounts indicate that the reconstruction effort was flawed: from the building materials used to the payment of workers to government oversight to the requisitioning of land. It is possible that the people NPR interviewed were simply very unlucky, but the fact that their complaints happened in different places at different times signals that problems are widespread. That's certainly what Huang Qi believes. He is an activist who runs a human rights website from his Chengdu apartment, exposing such cases of abuse. Since 2008, when NPR last spoke with him, Huang has spent three years in prison, for illegally possessing state secrets. He still doesn't know what state secrets that might have referred to. He is now ill with a chronic kidney condition, which he believes was exacerbated by his treatment in prison. He believes that he and other quake activists, including Tan Zuoren — who is still in prison — were sent to jail to shut them up. "After they had got rid of these voices of supervision, there emerged a series of new tofu-dregs buildings and new corruption. They [government officials] used the excuse of the big earthquake to bring new harm to the people. That is a fact," says Huang. When the most recent quake shook Sichuan province on April 20, Huang immediately set off toward the epicenter in Lushan. He was detained by 30 policemen, then turned back to Chengdu. He suspects there were things they didn't want him to see. Criticism is clearly being stifled by force. And some local officials are not just profiting from human misery, but adding to it, too.